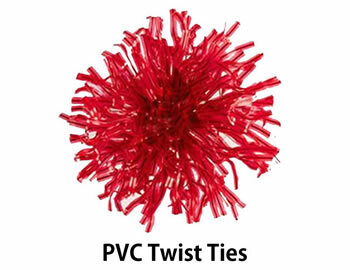 Rubber Bands | Printed Bands | Wire Ties | Paper Twist Ties | PVC Twist Ties | Flag Ties | Carton Sprayout | Plastics | Jam Covers | Vacuum Packing Machines | Vacuum Bags or Pouches | Impulse Hand Sealer | Contact Us | Place an order! Our rubber bands are proudly made in New Zealand from quality natural rubber from Thailand. 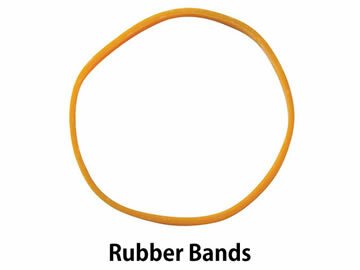 All standard sizes of rubber bands are available. We can also produce special sizes on request to meet specific customer requirements. A wide range of colours are available, depending on size. Standard rubber bands are packaged in 500g and 1Kg poly bags, 2, 5, 10, 15, 20, and 25kg Boxes. Menu Bands are specifically designed for retaining menu cards either on a board or in a folder. For a busy bar or restaurant they reduce downtime and improve efficiency when it comes to replacing menu cards between or even during services. Made in New Zealand, these bands have a special coating which provides for a semi-gloss lustre that enhances their ascetic appearance. They come in convenient packs of 25 and are available in the following standard sizes and colours to suit different menu applications. Available in the following Colours: Natural, Green, Red, White, Black, Lime, Yellow, Blue, Orange, Pink and Purple. Available in the following Colours: Natural, Black and White. 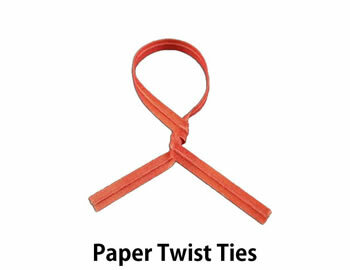 Tree Training Bands are a cost effective method for the training of both young and old branches. Biodegradable. The bands will last a sufficient amount of time before dropping off. Causes no damage to tree which is often not the case when using weights. Can be looped together to give a longer length or doubled up for added strength. 220 x 5mm, yield approximately 200 per kg. 220 x 3mm, yield approximately 425 per kg. Supplied in either 1kg or 5kg Bags. 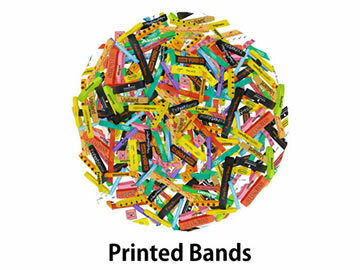 Printed Rubber Bands are ideal for promotions, product branding, advertising and corporate identification. Each job priced in relation to size, colours and quantity involved. 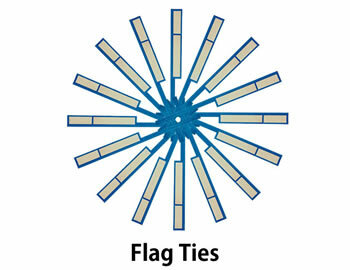 Double Loop Wire Bag Ties are easy to twist and hard to break, making them an ideal product in a wide range of industries such as farming, orchards/vineyards, manufacturing, civil engineering, building and construction to name a few. Securing bags or sacks of feed, potatoes, onions, carrots etc. Securing of concrete reinforcement bars and mesh in construction and engineering. Bundling of bar stock, tubing and pipes etc. Available in ROLLS of 2,000 or BAGS of 100. Note: Each roll is packaged individually in a woven bag for protection. 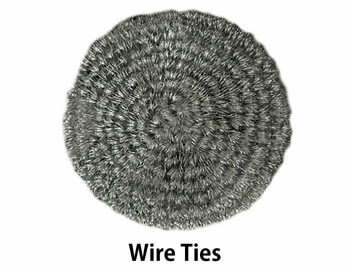 Galvanised Wire - Limited stock of Galvanised wire in 10kg coils (1620m). Strong, heavy duty wire twist tools with rubber handle. Tool is 300mm long with 4 spirals for fast operation. Note: Not all colours available in all sizes. 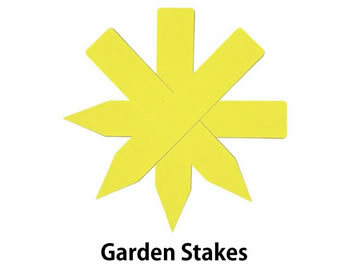 All purpose and perfect for the labelling of plants etc. or anywhere moisture is present eg. Frozen food labelling. Each label has two distinct writing spaces which is useful to write a Description in one and Date/Price in the other. This aerosol spray is ideal for covering old addresses, mistakes, and advertising on used cartons for re-use. 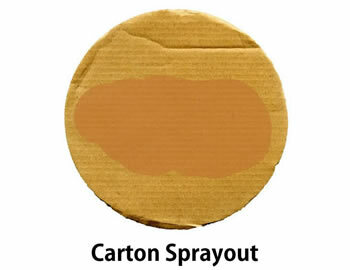 Carton Spray-out is also used for coding wool bales and as an all-purpose marking spray. Listed as an Approved Maintenance Compound with the New Zealand Food Safety Authority - NZFSA Approved C22 (All animal product except dairy). Suitable for supermarkets, bread, fruit and vegetable retailers. Available in rolls of 5000, 10 rolls per carton or loose in boxes of 5000. 100mm straight (500 per bag) or 150mm display (250 per bag). Perfect for jams, pickles, and preserves. 25 cellophane covers, labels and rubber bands per packet. Bulk cartons packed of 800 packets for distributors. 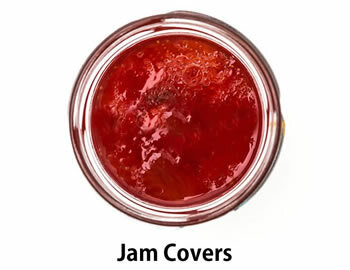 Can't find our Jam Covers at your supermarket? Use a small saucer with a drop of cold water. Glide cellophane over the top of the water, being careful to wet only the one side. Without stretching, place cellophane over mouth of a clean/dry jar - Wet side up. Place rubber band on to secure and allow to cool. NOTE - Cellophane will crinkle, but will become firm once dry. A compact home Vacuum Packing Machine with a retractable nozzle/snorkel that uses standard vacuum bags and not the expensive FoodSaver type - textured / embossed bags. Plain Poly or Nylon bags can also be used but should be tested to ensure they are able to maintain the vacuum. Vacuum packing helps preserve food by removing air from the bag it is stored in. Eliminating Oxidation which effects food in various ways including odour, colour, taste and texture. Certain types of bacteria cannot grow without oxygen. Once food is in contact with air it begins to lose its natural flavour and its appearance starts to change. This reaction affects all fresh foods even if the effects are not immediately obvious. Preserves Delicate Flavours & Oils such as fish oils which do deteriorate faster than the fat found in meat such as beef, chicken and pork. You can keep fish well wrapped in a fridge for two days and in a freezer for two months. By vacuum packing these foods you can preserve all the natural goodness and taste for four to six days in the fridge or frozen for two years. Preventing Freezer Burn. When foods are frozen without preparation, freezer burn can occur. It happens when the surface of the food is dehydrated and this causes a dried and leathery appearance. The flavour and texture of foods can also be ruined, vacuum packing reduces freezer burn as it protects the food from exposure to the cold, dry air. Maintaining Natural Moisture. Air causes moisture to evaporate. One of the reasons we package or wrap food is to keep it from drying out. 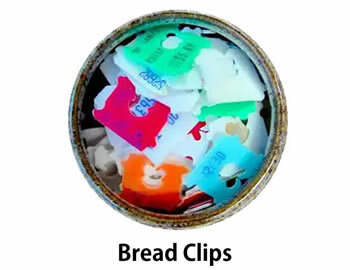 How many of us reach a few slices down into the loaf of bread to find the softer slices? Vacuum packing is a much better way to pack food because the air removal keeps the food moist. - Variable seal time controller to compensate for different bag thicknesses/structures. - Powerful 0.45 Mpa vacuum pump. - Energy efficient, compact and portable in size. - 10 free bags and Instruction Manual included. These bags are smooth both sides. I.e. Plain and NOT textured or embossed. Prior to ordering, please ensure that your machine is designed to use these types of bags. NOTE: FOR FOOD SAFETY REASONS WE ARE UNABLE TO ACCEPT RETURNS DUE TO INCORRECT ORDERING. Ideal for sealing all types of heat sealable materials.